Apple Floppy got you foxed? Mac Floppy maxxed you out? 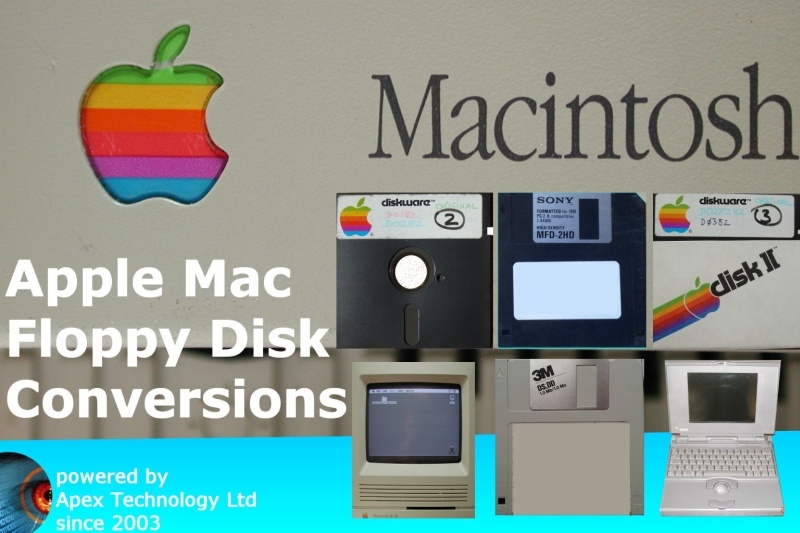 Our friendly team is happy to help recover your data from these Apple Disks & Macintosh Disks. 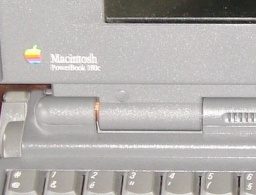 The old Macintosh Floppy disks cannot be recognised under Apple G3, G4, G5, or Intel Macs in anything over OS7. They were formatted using an filesystem encoding which is no longer used. That encoding meant more sectors were placed on the outer edge of the floppy disk, and decreased as you moved closer to the centre of the disk. This makes logical sense since the outer circumference of the disk is larger and can accommodate more data. 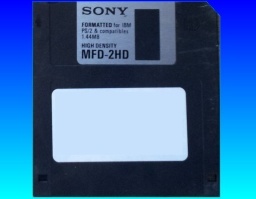 Unlike the PC formatted floppy disks which used a consistent number of sectors regardless of which track you are on. The disks held 400kb for single sided mac disks and 800kb for double sided mac floppies. On modern macs files from old mac floppies are often seen as "Unix Executable" as OSX has no database for the older software file types or creator codes, therefore no frame of reference for how to handle the data. We have drives for 3.5" 5.25" inch Floppy Discs for converting the disks and transferring files from Macintosh and Apple ][ 2 2e disks. We can download the file transfer to usb,cd,dvd,hard disk or more often simply email the contents as the quantity of data is usually small. This includes converting files suitable for reading in newer macs OSX without floppy disk drives, or to Windows PC computers. On modern macs the files are seen as "Unix Executable" even though they may have been from ClarisWorks, Locoscript, etc. These old mac floppys disks were used to relieve pressure on the limited and expensive hard drive capacity of older apple computers. They provided a cheap media for software distribution, backup file archives, data transfer. Popular conversions/transfers are from Claris Works, MacDraw, MacWrite Microsoft MS Word to windows pc. These old disks were often used for old archive files, book manuscripts, photographs, images, cad files, spread-sheets, and graphics. There was even an old database file Microsoft FILE which we can convert - one of the few MS software made exclusively for the Macintosh - no PC version. Where disks are damaged or format not recognised when inserted, or request to be formatted, then it may be the boot sectors or index sectors are damaged. If the disk is slow to copy files, or even hangs while copying data, then it is likely the disk surface is damaged. Or recovery techniques can extract all readable sectors from the disk and in most cases this is enough to piece together the original documents, or books, play manuscripts etc, or in some cases cause complete recovery of the file. So simply contact us if your mac floppy needs data recovery. We also undertake data transfers from these discware disks to other formats. A popular data transfer or recovery for 5.25" inch diskware floppies which often contain archive data. Convert files from old mac's to pc's. 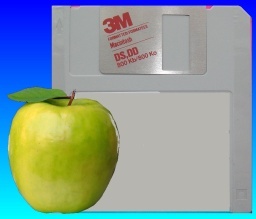 Transfer files from Apple mac 400k & 800k floppy disks, Apple 2e, Apple ][, Apple 2, DS-DD MFD-2DD 135-TPI ClarisWorks, MacDraw files. Claris Works Word Spreadsheet files. Apple Mac Floppy Disks Transfer and Conversions problems that we recover data from are listed below. Mac Floppy Disks for Apple Macintosh 3.5 5.25 inch Discs Convert Transfer Extract Copy Read Files MacDraw ClarisWorks MacWrite, Windows PC,OSX Apple 2 2e ][ II.